Casetify is an interesting case manufacturer. 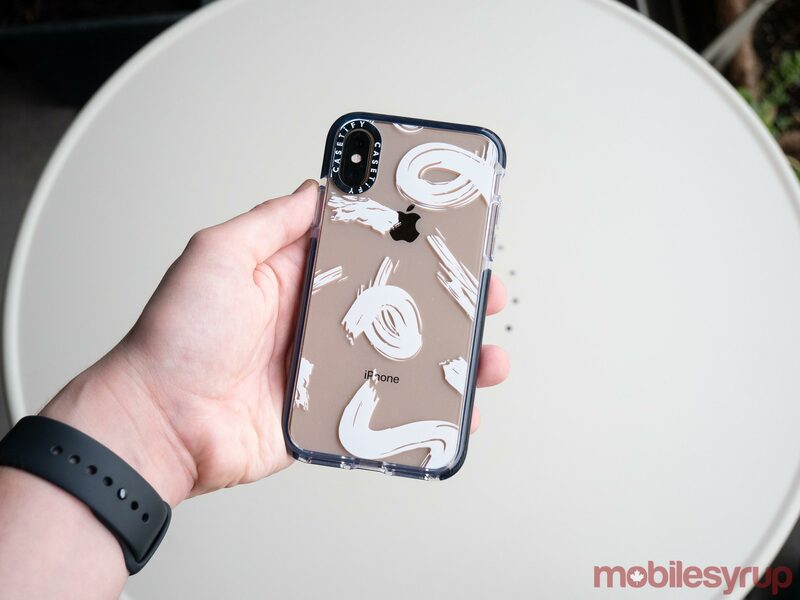 Rather than concentrating solely on protection like other case companies, the accessory maker aims to strike a balance between durability and aesthetic, with the Casetify going so far as to offer glitter-filled iPhone XS and iPhone XS Max enclosures. With the tagline, “real cute, real tough,” in mind, this approach to smartphone cases makes perfect sense. While Casetify sells a wide range of cases that are flashy and eye-catching, the company also offers many low-key, minimalist enclosures that provide a surprising amount of protection, particularly in the company’s Impact line. Below is a quick look at some of Casetify’s top offerings, including a glitter case that isn’t built with my particular design sensibilities, but that is nonetheless unique, flashy and, of course, still features effective protection. Casetify sells many different Impact floral cases, though this one in particular caught my eye because it’s relatively minimalist. It still allows you to show off the rear of the iPhone XS, which in my case is Apple’s new gold colour, while adding design pop to the back of the smartphone thanks to its pink and light orange accents. If this particular design isn’t to your taste, Casetify sells a variety of floral Impact cases. Casetify’s Impact Floral case is priced at $45 USD (about $58 CAD). To my surprise, I’m quite fond of this Impact case design. The seemingly random swirls of white brush strokes are visually appealing, while the case still offers the same level of protection every enclosure in the Impact line I’ve played around with always features. Casetify’s Impact White case is priced at $45 USD (approximately $58 CAD). If you’re a fan of minimalist design and looking for a case that doesn’t feature the flourishes Casetify is known for, then the company’s Impact Clear case is the enclosure for you. This is the accessory maker’s standard, no-frills Impact case. 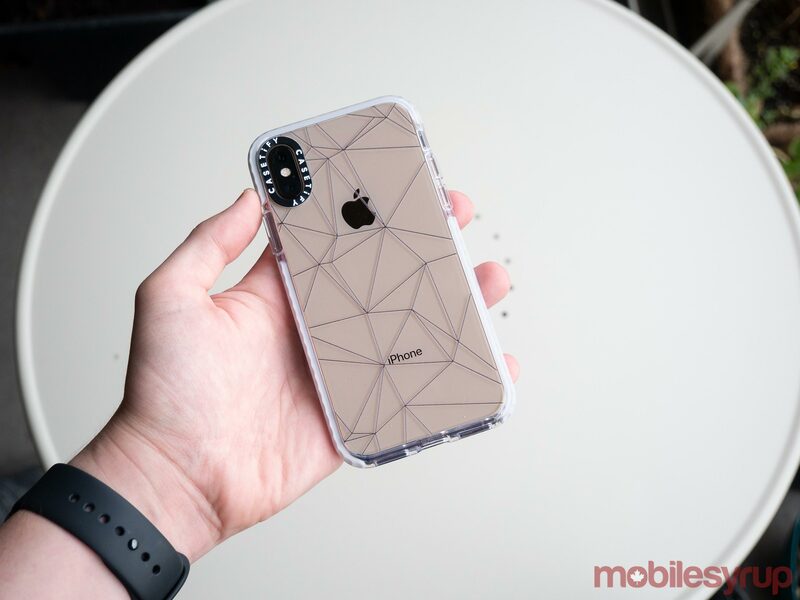 Casetify’s Clear iPhone XS case is priced at $50 USD (approximately $65 CAD). 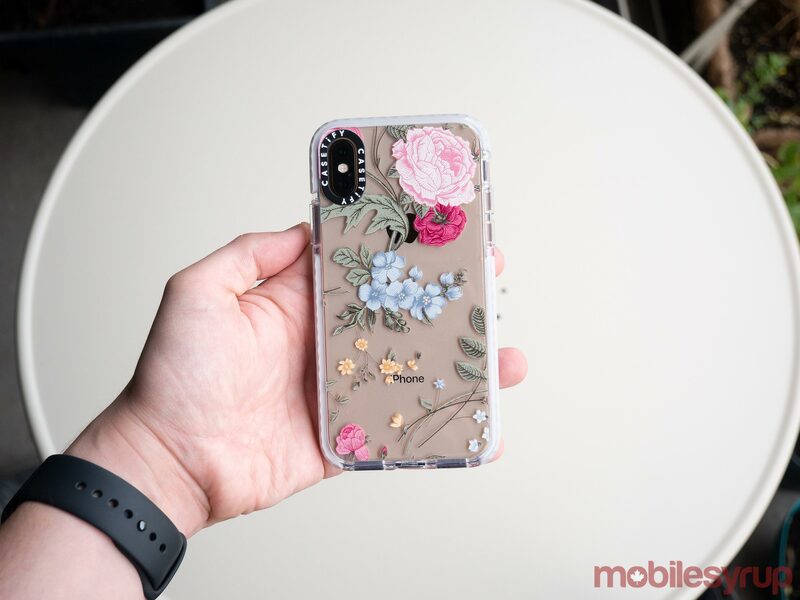 Though this particular floral option isn’t my favourite out of all of Casetify’s similar enclosures, it’s still a great case that features excellent protection, just like all of the accessory manufacturer’s Impact options, with an added dash of colour and artistic flowers. Casetify’s Impact Vintage Floral case is priced at $45 USD (about $58 CAD). Though I wouldn’t typically consider using a case that’s so overly flashy, it’s difficult not to be impressed with Casetify’s gold glitter enclosure. The case offers the same level of protection as the company’s other cases, including silicon-covered buttons and a tightly cropped cutout for the phone’s Lighting port. 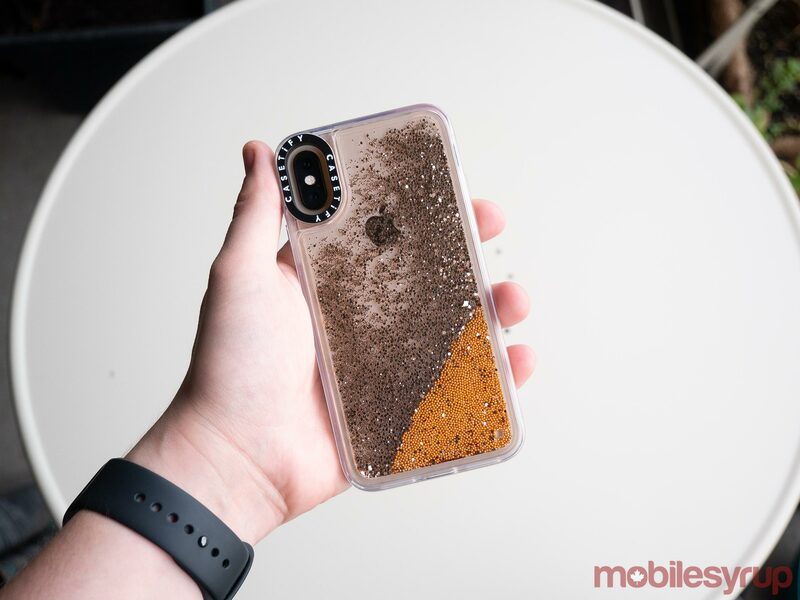 Further, Casetify says that the liquid glitter used in its iPhone XS cases consist of 100 percent non-toxic mineral oil, which is an excellent move by the manufacturer, though given the build quality of Casetify’s Glitter cases, I doubt one of them would ever leak. Casetify’s Glitter case is priced at $45 USD (roughly $58 CAD). 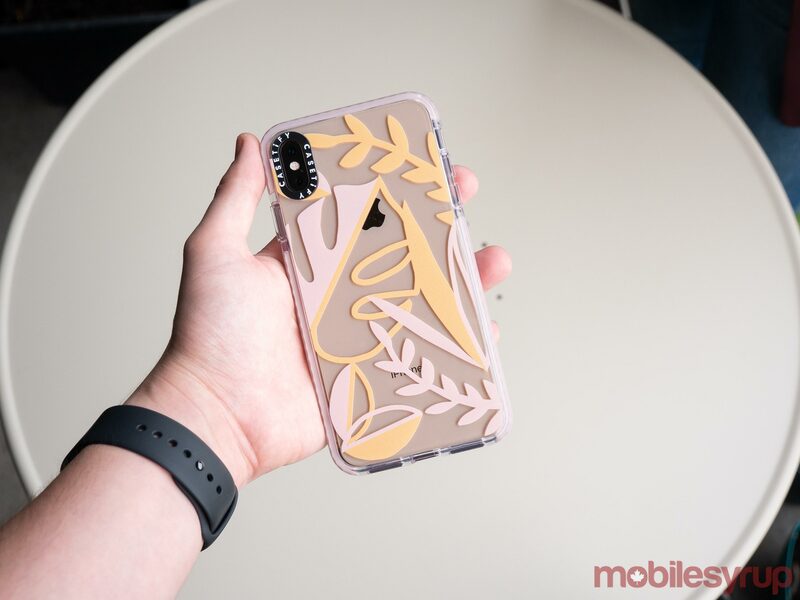 Casetify’s Impact series, as you may have gathered by now, are pretty basic in their design when it comes to protection, offering a slick cutout for the Lightning port, but also still covering the volume and power buttons. 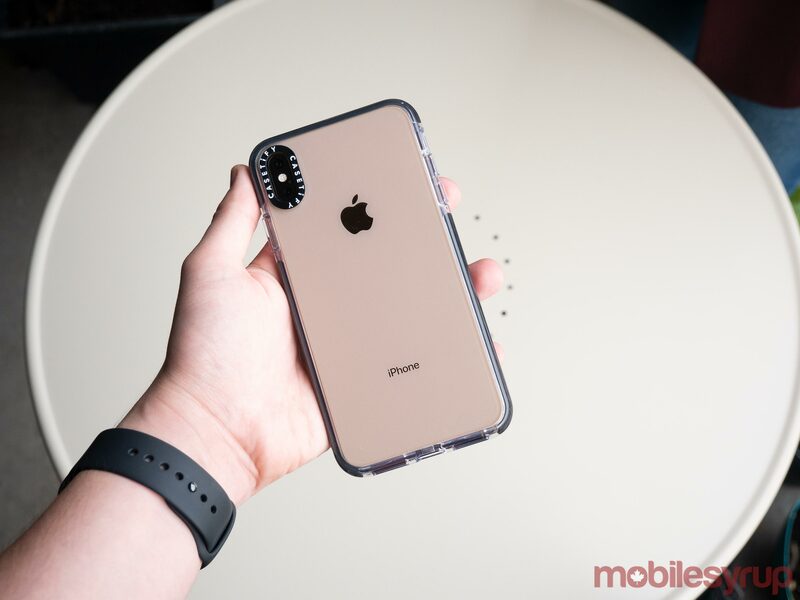 The edges of the case also feel durable, which means if your iPhone XS happens to take an accidental tumble, the case will still protect the smartphone aptly. In the case of this abstraction version, the case features a fresh-looking geometric pattern on its rear. Casetify’s Impact Abstraction case is priced at $45 USD (approximately $58 CAD). You can find all of Casetify’s iPhone XS and iPhone XS Max cases at this link. If you’re interested in any one of these cases then head on over to Casetify and use the code MOBILESYRUP20 that gives you 20% the price.